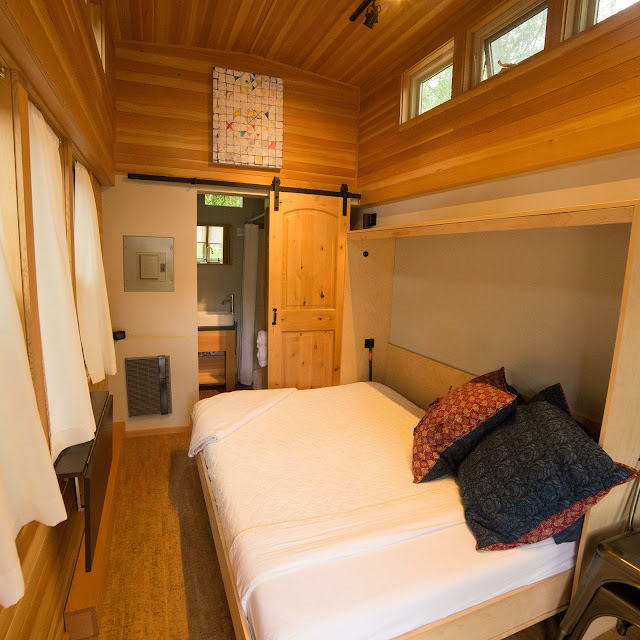 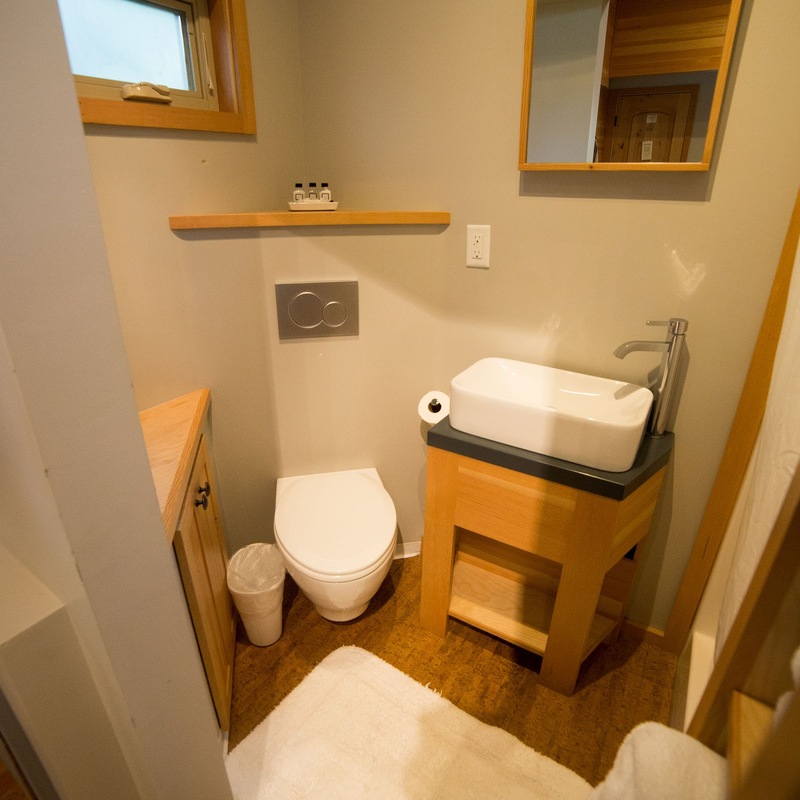 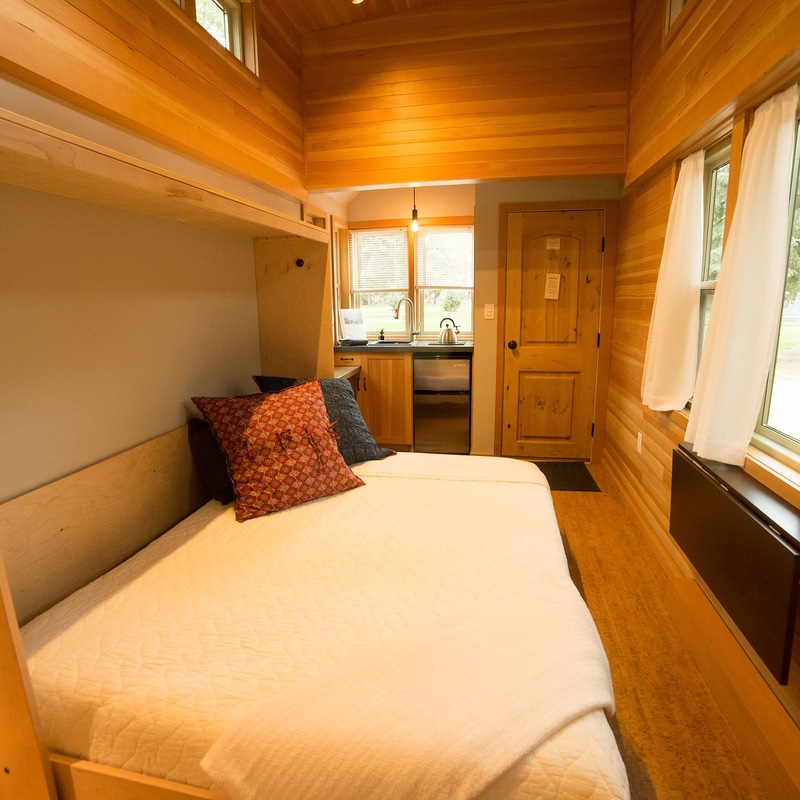 Available at the WeeCasa Tiny House Resort in Lyons, Colorado, is this cozy, rustic tiny house. Named the "Heritage River Birch", the home is built onto a double-axel trailer. 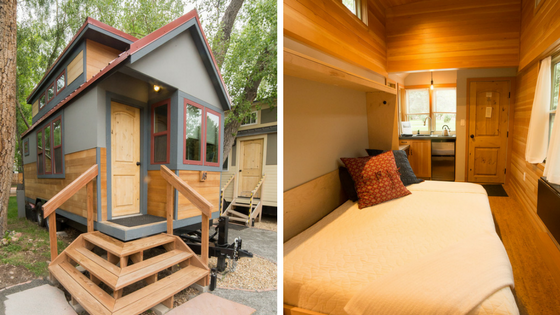 Its 165-sq-ft single-floor interior features high ceilings and cork flooring throughout. 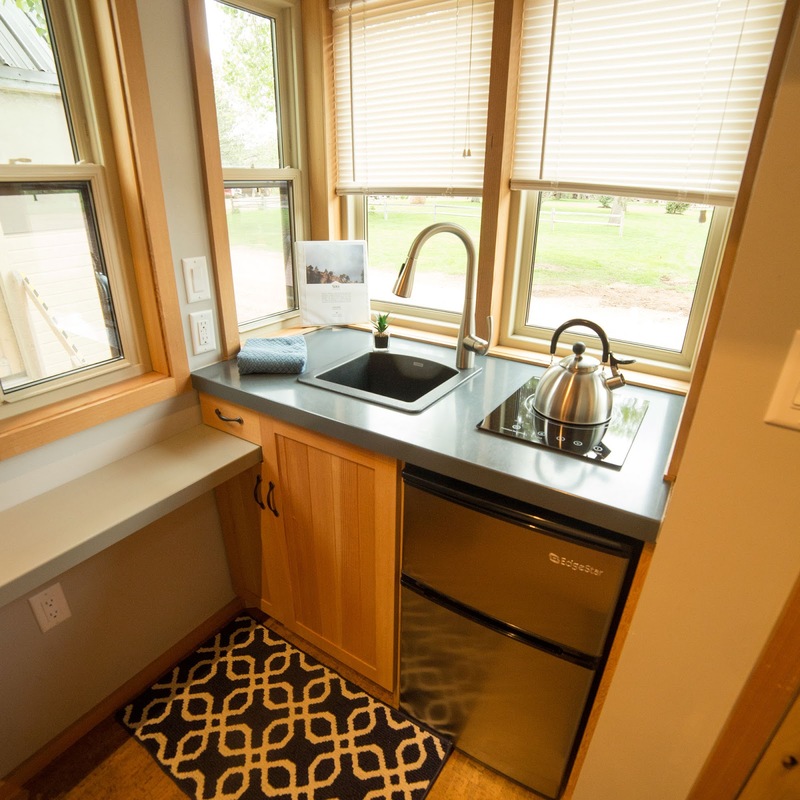 The kitchen comes equipped with a single-burner induction cooktop, a mini-fridge, and under-counter storage. 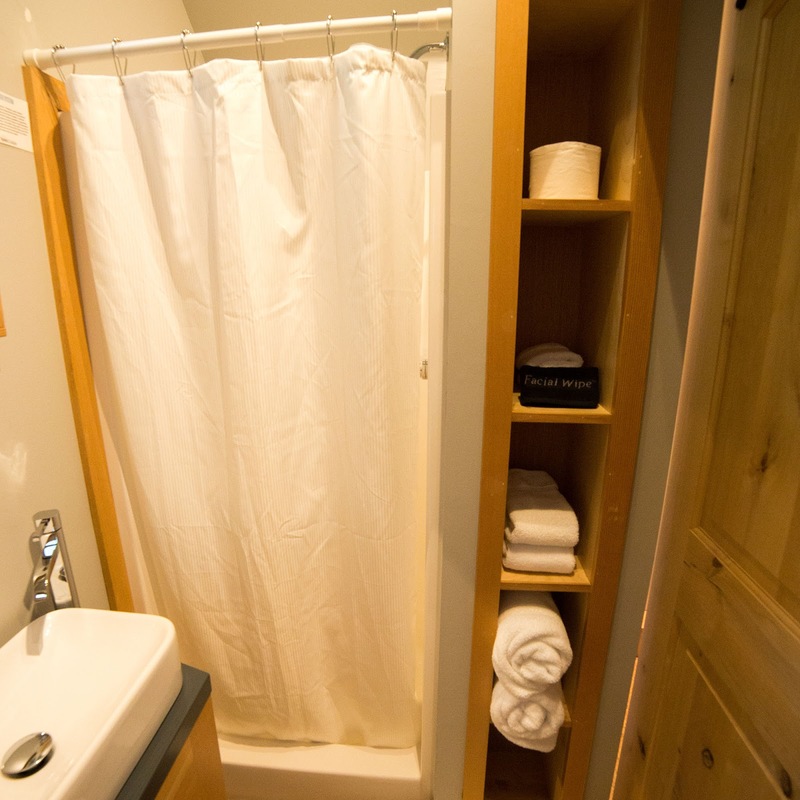 There's also a bathroom and a queen-sized bed with room for two! 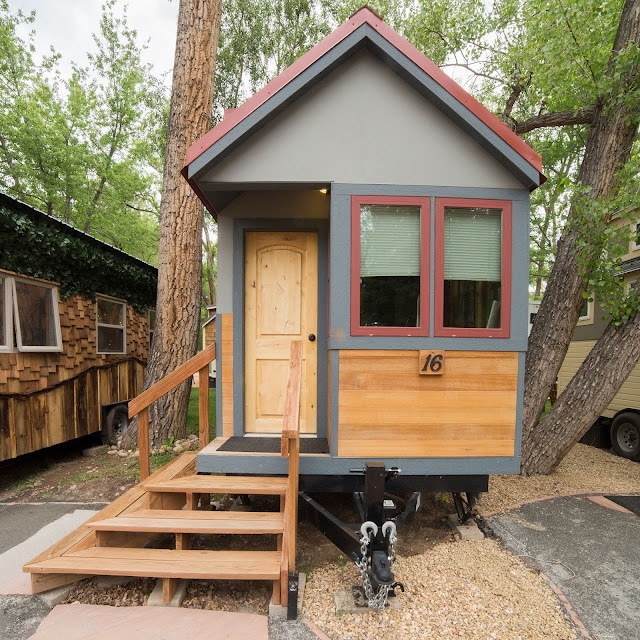 The Heritage River Birch is currently available for $109 a night here. 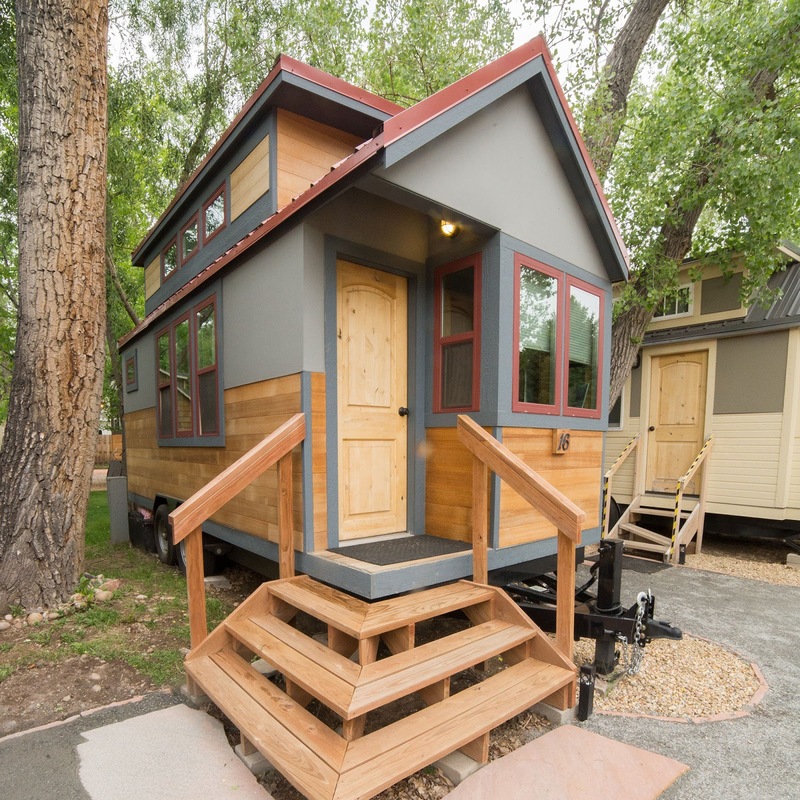 Also, be sure to check out these other tiny homes from WeeCasa here!